From May 11th to 15th 2014, the Human Rights Centre of the University of Padua and the Master’s Degree in Human Rights and Multi-level Governance organize a Study trip to Geneva to meet United Nations organisms and agencies dealing with human rights, permanent delegations of the Italian and other governments, and some non-governmental organizations. Divided in three groups with parallel thematic programs, the students have the opportunity to meet officials of the Office of the UN High Commissioner for Human Rights (OHCHR) on issues such as the Human Rights Council, included the role of the special rapporteurs and the operation of the universal periodic review (UPR); the activity of the UN treaty bodies; the role of OHCHR with civil society organisations. Meetings also take place with officials of international organisations such as UNEP, WTO, ILO, IOM and ICRC. Of particular relevance, the meetings with Monsignor Tomasi, nuncio of the Holy See to the UN and the other International Organizations in Geneva, with Ambassador Serra, Representative of the permanent mission of Italy in Geneva and Ambassador Guillerment of Costa Rica. 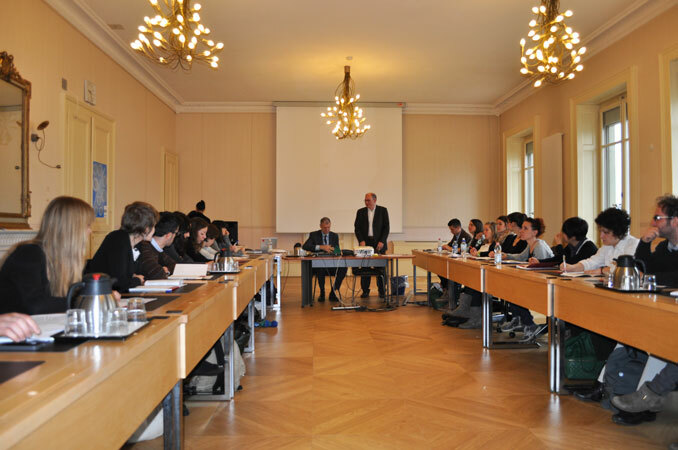 The three groups meet representatives of international NGO based in Geneva, among which: Geneva for Human Rights; Upr.info; Plan International; Médecins sans frontières; Child Rights Connect; International Commission of Jurists, Caritas Internationalis and Save the Children. On Wednesday 14th, the students take part to the exepert seminar "Facing gross violations and international crimes" organized by Geneva for Human Rights in collaboration with the Human Rights Centre of the University of Padua. The Study trip represents a valid opportunity to deepen the knowledge of many subjects and issues developed within different university courses, as well as developing contacts and institutional and personal relationships with officials and experts met in Geneva.